There is increasing speculation that Indian GP2 driver Karun Chandhok will drive for Campos in F1, after new team principal Colin Kolles dropped the biggest hint yet. 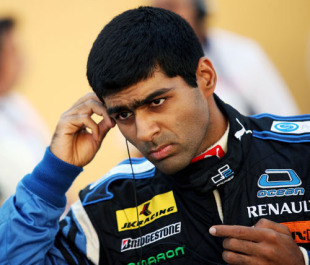 In recent weeks Chandhok has been linked to F1 hopefuls Stefan GP as well as Campos due to his large sponsorship package. With Campos now adamant it will make the first race under Jose Maria Carabante's ownership, Chandhok is in the running for a seat alongside Bruno Senna and US F1 driver Jose Maria Lopez. "We are close to finalising a deal with him," Kolles told India's Business Standard Motoring. 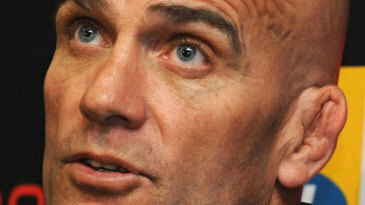 "However, we will be in a better position to comment on this over the next few days." Senna remains a front runner for a place at the team, after he signed a contract with it when it was under Adrian Campos' ownership. However, Kolles cast doubt over Senna's seat when he refused to confirm his position, saying a driver announcement would be made "soon". Nevertheless, Senna's manager Chris Goodwin told BBC Sport: "There's no reason to think Bruno won't be part of it. It's clear as far as we're concerned. He signed a contract in October and he'll be in the car this season." This would appear to leave Lopez without a seat despite him having a rumoured US$7 million worth of sponsorship backing. His US F1 team looks to be on the brink of collapse and the latest rumours suggest that the FIA is about to take back its official entry after inspecting the team's factory this week. That would free up the thirteenth grid slot for Stefan GP, but the process may not be as simple as that. USF1, Campos, Virgin and later Lotus were granted their entries after a process of application and due diligence performed by the FIA, and with just two weeks until Friday practice begins in Bahrain, granting Stefan GP an entry for 2010 would have to be fast-tracked. This would likely cause complaints from the teams initially turned down by the FIA, some of which have threatened legal action over the initial process. Zoran Stefanovic has said he is expecting a decision from the FIA by next Wednesday at the latest, as he will need at least a week to send all his equipment and cars to the first race.